View cart “Christmas Morn” has been added to your cart. You may have heard him featured on Garrison Keillor’s A Prairie Home Companion or playing in one of several Broadway musicals. You may have also caught his magical fingers strumming with the likes of Mark O’Connor, James Taylor, Richie Havens, Noel Redding, Bo Diddley, Susan Tedeschi, Maureen Mcgovern, Donny Osmond, The Platters, Fabian, Charlie Daniels, only to name a few. In his spare time (what spare time could he possibly have?) he shares his talent and technique as a teacher of guitar at Berklee College of Music in Boston where he was awarded the first ever “Ovation” Award. Bobby Stanton has been playing in world-class bands since he was a teenager. He moved to Nashville and then to Boston to attend Berklee College. Bobby graduated with honors and became the first student to receive the prestigious “Ovation” award. Bobby later won 7 Boston music awards. He also received awards from ASCAP and BMI. Bobby is a professor at Berklee and McNally Smith Colleges. 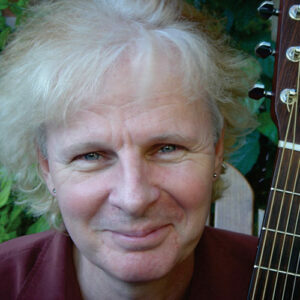 He has an extensive performance legacy and has played and recored with everyone from Bo Diddley to James Taylor. 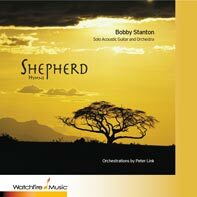 I just finished listening to the Shepherd CD by Bobby Stanton. Totally inspiring! Different! Spiritually uplifting! 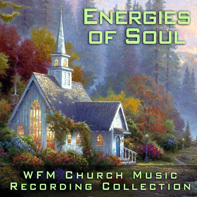 Beautiful orchestrations! Superb sound! What more can I say - I love all the arrangements!